Wednesday October 10th, 6:30pm to 9:00pm - Meeting, Moose Lodge #1548, 2200 Pratt Street, Longmont, CO 80501. Open to all members and guests. Planning for seasonal closure of Middle St. Vrain and Coney Flats. Proposed Dec 1 or 2. BRD OHV meeting. Caribou buck and rail proj 2019. Lefthand interactive map. Planning for the COA4WDCI 4th Q meeting in Denver. Planning for the Moab, Utah Thanksgiving trip. Review of the Buena Vista trip. Review of the Storm Mtn trip. Review of the Tebo Car Collection visit. Review of the Argentine Pass trip. Review of the Red Cone and Radical Hill trip. 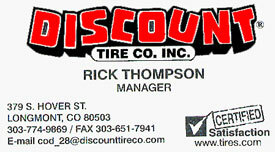 Guests were Matt Parks from Bestop Inc. Greg will be getting information on Bestop’s club discount of 10%. Other guests were Dan Layard and Mark Grayson. Christy and Gordon want your club trip pictures for the annual club wall calendar. Bring your high resolution pictures to the meeting on a memory device. Deadline is October 31. Calendar orders must be in by the November club meeting. Cost is $15 each and must be paid at the time of the order. If you can’t make the meetings see Greg at his shop. Planning meeting meal will be provided by the Moose Lodge. The taco bar will have a choice of chicken or beef and hard shell or soft shell tacos with all the toppings. Drinks will also be provided. Cost is $7.00/person for the meal. Debbie will need to know how many will be attending and participating in the taco bar by November 2nd. Money will be collected at both the October and November meetings. Please send your request to dtrever@bouldercounty.org. Next TRR Ladies Lunch will be Oct 6 at 11:30am at Old Chicago in Longmont. Planning for the Buena Vista trip. Sept 19-23. Four Wheeling and fishing trips. Planning for the Storm Mountain trip on Sept 22. Meet at the K-Mart in Loveland at 8:30am. Planning for the Tebo Car Museum trip on Sept 29, in Longmont from 10am to 12pm. Contact Vic W. to sign up by Sept 24. Planning for the Argentine Pass trip on Sept 30. Meet at Exit 234 Starbucks at 9:00 am. Planning for Red Cone and Radical Hill trip. Meet at the Loaf n Jug at Hwy 285 and county rd 43A at 9:00am. Planning for the COA4WDCI 4th Q meeting in Denver on Oct 20.
Review of the Caribou trip. Review of the Pass Hoppers trip. Motion to close meeting by Vic Walter, second by Debbie Trever. Last month’s trivia question was presented by Gordy H, who is still tied for first place with Vic W for the year. Vic had volunteered to ask the question this time, but Gordy had a reason with a time frame for wanting to ask this month’s question, as explained below. 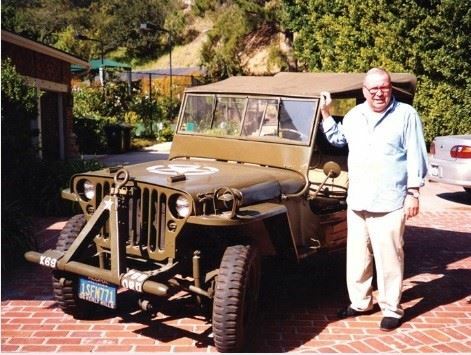 Question: Which Hollywood personality owned a Ford GPW military Jeep? Answer: 3. Frank Sinatra, seen with his GPW in the following photo. Sold at Barrett-Jackson’s auction in 2005 for $30,250. The Ford GPW here was purchased at a military surplus auction for old blue eyes himself, Mr. Frank Sinatra. The jeep was then moved to his home in the Palm Springs area, where it was restored. 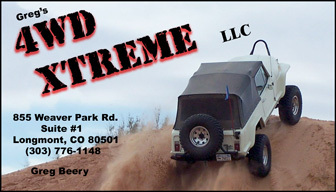 He would primarily use this vehicle for short trips, and off-road fun with family and friends. Mr. Sinatra owned it for over 20 years, and the vehicle looks pretty much like it did when Frank used to drive it. Sinatra’s GPW now resides in Stephen Tebo’s private collection in Longmont, Colorado. Tebo’s collection includes nearly 400 vehicles. Gordy explained that he wanted to ask this month’s question because he had corresponded with Stephen Tebo’s Assistant and arranged for TRR members to be guests at their last Open House of the season on September 29th. Since Gordy will be out of town then, Vic W offered to coordinate this outing. Gordy’s question, being multiple choice with four possible answers, should have statistically resulted in a 25% success rate with those who guessed. Out of 27 answers, two people came up with the correct answer. Interestingly, this shatters the statistical theory, as it equates to less than 10% correct of those who guessed. Congratulations to Karla H and Mike C for knowing (or guessing) Frank. The most popular guess was James Garner with 13 guesses, almost half of those who turned in a guess. The points total for 2018 now stands at Gordy H and Vic W tied at 10, Paula K with 9, Gary B and Mike M with 8, and several with 7 or less. This month’s trivia question will be brought to you by Vic W.
This year, for the 2019 wall calendar, the deadline for photo submission is October 31. If you have photos to submit, please contact one of us to make arrangements before that date. We will not be at the October club meeting, so we will need them either mailed, emailed (if you only have a few), or we can meet you somewhere to collect a thumb drive or a CD. Additionally, Greg has offered to collect any photos for us if you prefer to drop them off at his shop. The 2019 calendar will only include photos from 2018 that we receive by that date. At this point, we have plenty of photos, but it would be nice to include the Buena Vista trip which as of this writing has not yet happened. Additionally, we need to reset the individual birthday photos, as some are getting out of date and some people are no longer members. If you have not yet confirmed to us that you want your birthday included, please email Christy directly at christy3218@gmail.com. Please indicate your birthday (month and day) and whether you would like a new photo included. If you have your own photo that you like, please get it to us by the same deadline of October 31. If you don’t want your birthday noted, you don’t need to do anything. Lastly, we have decided that the 2019 wall calendar will be the last one that we will do. If anyone wishes to take this project over starting next year, please let us know, especially if you would like to work with us this year to see how we do it. To facilitate a more complete calendar of activities for 2019, all members are requested to bring at least one trail suggestion to the November meeting. If you cannot attend the meeting, email your trail suggestion to one the board members. You do not have to be the trail leader for your trip suggestion. We will collect all suggested trails at the planning meeting and work on the scheduling them incrementally throughout the year.